As of the middle of 2018, it’s common to accept bitcoin as more of a commodity than a currency. While you can still spend it at a number of places both in person and online, its primary function at this point is to be traded for financial gain. This is why we’ve compared it to forex trading, as opposed to comparing it to actual currency itself. More appropriate than looking at bitcoin as an investment asset, however, is looking at it as the primary commodity within a whole new class of assets. 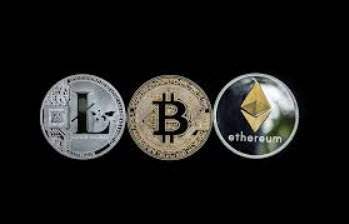 Cryptocurrency trading is fast becoming its own market, not unlike trading precious metals or, in fact, dealing in forex. And this can only be the case because a number of so-called “altcoins” have gained significant strength beneath bitcoin. There are now dozens if not hundreds of them that can be bought and sold by the public even if they’re never used as currency. You can always take a flyer on one with little to no value at this point and hope that the investment pays off. But in terms of popular trading, there are about five altcoins you should really learn about if you’re looking to stretch your portfolio into crypto markets. Litecoin is the most firmly established of the altcoins. It’s effectively a direct alternative to bitcoin, offering similar technology and similar ownership, with only a few small differences. In some cases it can feel like a more manageable investment asset simply because it runs at drastically lower price points than bitcoin. Historically however, its price has moved with a relatively similar pattern to that of bitcoin (though the correlation is by no means exact, nor is it necessarily reliable). Ethereum has become one of the most valuable altcoins (worth more than litecoin), and some see its potential as being higher than that of bitcoin. This is because while bitcoin’s blockchain is meant for record-keeping, ethereum’s focuses on running programming code. The purpose of this is to allow developers to use the blockchain for new purposes, each one of which can potentially up the value of the ether tokens that serve as the actual currency. Zcash has actually surpassed litecoin in value also, and is one of the more rapidly growing cryptocurrencies in terms of reputation and name recognition. Its primary differentiating factor is that it allows people to make transactions via private addresses, which means that absolutely nothing about the participants is revealed. The only public knowledge is that a transaction has in fact taken place. Given that many people seek out cryptocurrency for the privacy to begin with, it’s clear that Zcash could continue to grow. Ripple is a much smaller cryptocurrency option - much smaller. At the time of this writing its value is under $1. Even so, its value surged over 3,000% in 2017, while other cryptocurrencies were becoming almost too expensive to buy. Thus, some believe buying a large quantity of ripple (or more accurately its currency, known as XRP) is a strategic investment. With a value that tends to hover somewhere between those of Zcash and ethereum, dash is one of the heavy hitters in the cryptocurrency market. As with Zcash, it’s valued mostly for its extra privacy features, which include heavily encrypted transactions that are effectively masked to the public. If you intend to explore investments in this space, it’s also worth mentioning that dash is an evolution of darkcoin, meaning to understand its growth and potential you may want to look into the history of darkcoin as well.